Enrichment . . . great fun for everyone! Gone are the days when people felt the backyard was enough to keep a dog happy. Dogs need mental and physical stimulation, and in recent years, scientists and dog lovers alike have come to believe that from dogs in shelters to the family pet, they all benefit from behavioral enrichment. Thanks to canine agility and nose work sports like truffle hunting and barn hunt, the Northwest has plenty of unique ways to make you and your dog’s life more fun, while heading off behavioral issues at the same time. Studies show that dogs and cats who are given enrichment opportunities have fewer anxiety disorders. 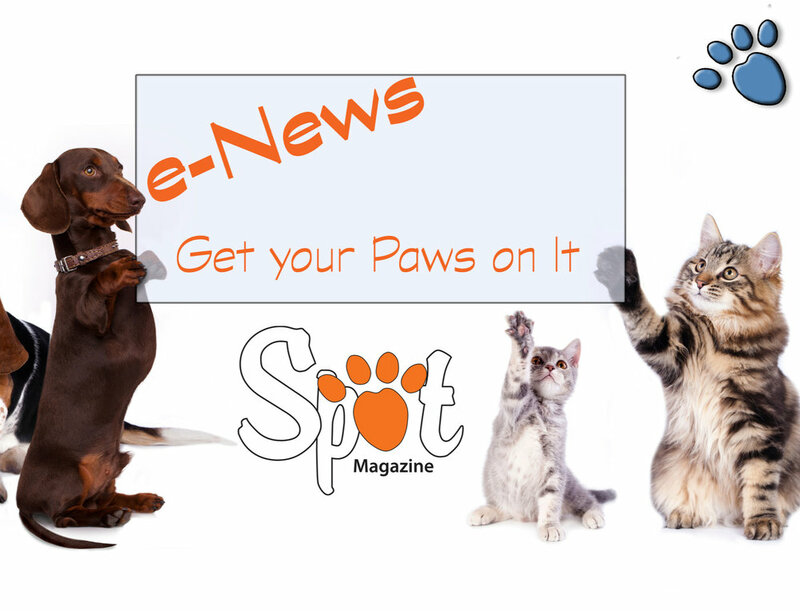 Dog trainer Darla Wardrip of Connecting with K9s says agility enriches dogs’ lives by teaching confidence and encouraging even closer bonding with their owners. • Provide kiddie pools to splash in and sand boxes to dig in. • Indulge their natural instincts by hiding food in toys for pups to search out. • Try activities like sports (many are available for no or all skill levels) or play groups. • Get out together and play! Beneficial social experiences with humans make them more outgoing. So go out and play with your dog; it’s good for you both! Dogs coevolved with humans over 135,000 years, and so mirror our social development. This “long history of human-canine coevolution may explain why contact with humans appears to be more beneficial to dogs in terms of decreasing stress,” according to Karen L. Overall, vet, scientist, and certified animal behavioral therapist; and Donna Dyer, her research assistant at the Center for Neurobiology and Behavior Psychiatry Department at the University of Pennsylvania. Agility is for everyone. Dogs from Pomeranians to Poodles to Great Danes enjoy and excel in agility, whether competitively or just for fun. Courses cater to every size and shape — even official AKC competitions offer five jump heights. And you don’t need to compete to enjoy it. Running over teeter-totters, leaping small fences, weaving through poles and darting through tunnels gets you and your dog working on conditioning, training and teamwork. Wardrip says agility also teaches focus. Nose work builds confidence. Sniffing things out brings shy dogs out of their shells as you work together as a team, with your dog using something you don’t have: an excellent nose! Sharing his or her nose skills with you builds confidence. Unlike agility, nose work can be done on-leash, and some even do it at home. Truffle hunting with dogs has taken off. An unripe truffle has no flavor, but your dog’s nose can tell the difference between an unripe one . . . and a ripe one worth $250 per lb! Truffles are priceless as a fun way to build skills and teach your dog a fun new sport. Your dog can hunt truffle-scented targets in your apartment, home or yard, and advance to finding them in the wild (with a permit from the Oregon Department of Forestry). Check out seminars though the Oregon Truffle Festival and its annual Joriad National Truffle Dog Championships, or find in-person and online classes all over Oregon, which is home to many tasty truffles. Barn hunt involves nose work . . . but the hunt is for rats. Don’t worry, the rats are pets and well cared for, according to the Barn Hunt Association, which says the sport is open to dogs of any breed or mix “who wish to play the game and can fit through an 18" wide by bale-height tall tunnel.” Tripod dogs and deaf dogs enjoy it too, they say. Valley Dog Sports in Newberg, OR offers classes and competitions. Canine musical freestyle (dog dancing) takes obedience work like “heel” and “come” and builds on it to create graceful and fun choreographed routines set to music that can be performed in competition. 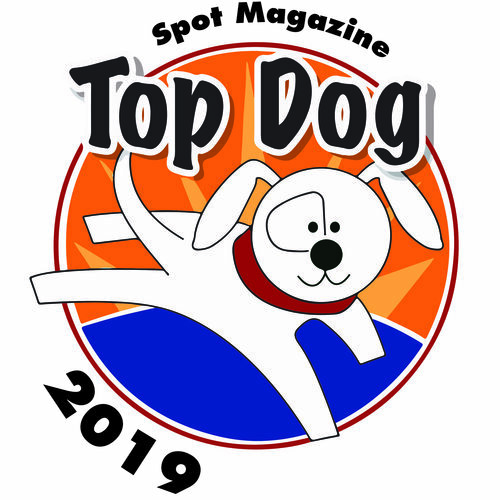 According to Dogs Gone Dancing, canine musical freestyle didn’t come to the Northwest until the year 2000, but the sport is growing, and if you’d like to dance with your dog, you can find a class! Camilla Mortensen is associate editor at Eugene Weekly. She is also a folklorist and a community college writing instructor. She has two horses, Flash and Cairo; two cats named Woodward and Bernstein an assortment of dogs —Rhoda, Zella and Biggie Smalls, and lives in a 1975 Airstream trailer. Posted in Awesome Pet Guide 2016. February 1, 2016 by Spot Magazine.